FAB Awards 2015 Nominee; ‘Individual Contribution of the Year’. Managing Director, the captain of our ship, our revered and esteemed leader. 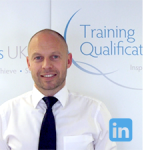 Andy was responsible for gaining TQUK its Ofqual approval and has since then relentlessly worked to promote our brand and build our team. Acting as Responsible Officer, Andy is accountable to the regulator for TQUK’s compliance and to the staff for provision of suitable biscuits and donuts. Whilst he has never shirked away from his Responsible Officer duties, the same cannot be said for his role as provider.He has been caught on more than one occasion creeping out the back door to avoid hungry crowds of workers. Andy reports to and sits on both the Advisory Panel and Board/Governing Body where any actions given will be disseminated by him to the Senior Management Team and colleagues. What is your preferred tea/coffee preparation method? A monkey – they ae sociable, don’t eat dead rotting carcases and look like they always have fun. If they want to they can also go up to the tree tops and see what is going on! You just got a free plane ticket to anywhere. You have to depart right now. Where are you going to go? If you arrange to meet someone or perhaps you have a job that starts at a certain time, you have to be there 10 minutes before! My rule would be “if you’re on time, you’re late”. 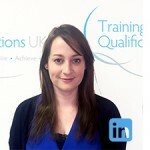 Katie worked for Ofqual before joining TQUK and whipping us all into our very best compliance shape. 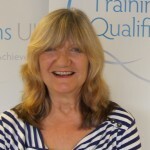 She works closely with Andy to shape TQUK’s strategic direction and oversees the other departments. It’s rumoured she uses a copy of Ofqual’s General Conditions of Recognition as a pillow, but we have yet to see any evidence that she sleep at all. What we do know is that she emails us about compliance. A lot. Katie also reports to and sits on the Advisory Panel. Tea bag in, boiling water onto the bag, no milk! When I was six and my brother was four one of us drew on the wall in our house. To this day only the two of us know the truth about who it was and it remains a matter of great contention. That’s a secret I can’t tell! (It was him). A cow. They have four stomachs which means more room for cake! Most importantly, Tuesdays are Adele’s cake making day so if you’re passing by pop in for a slice of her famous carrot cake! Tea – leaves in a pot (not a tea bag) Coffee – cafetiere. To work with animals, in a zoo maybe. I’m very fond of lemurs and have several toy ones. FAB Awards 2016 Winner – ‘Individual Contribution of the Year’. Paul is our Quality Manager and responsible for coordinating the work of our Subject Experts, External Verifiers and in-house quality staff. Beginning with us as an Account Manager two years ago, Paul showed an inclination towards all things process which makes him perfect for ensuring all of the awards that TQUK makes are made in line with the procedures we have in place to ensure validity. He can answer any question there is about our quality assurance processes. Paul likes to think he is healthy and makes his own houmous but secretly binges on our biscuit supply when he thinks people aren’t looking. I don’t know who Sean Penn is. Mandatory sandcastle building competitions. To make sure that my island stands out for potential new recruits. 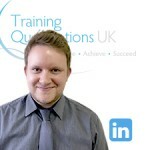 Tom started with us as an Account Manger back in the early days when TQUK had only a handful of qualifications to offer. He is now the Operations Manager and responsible for managing the Account Manager team and co-ordinating this ‘front line’ work with the other departments. 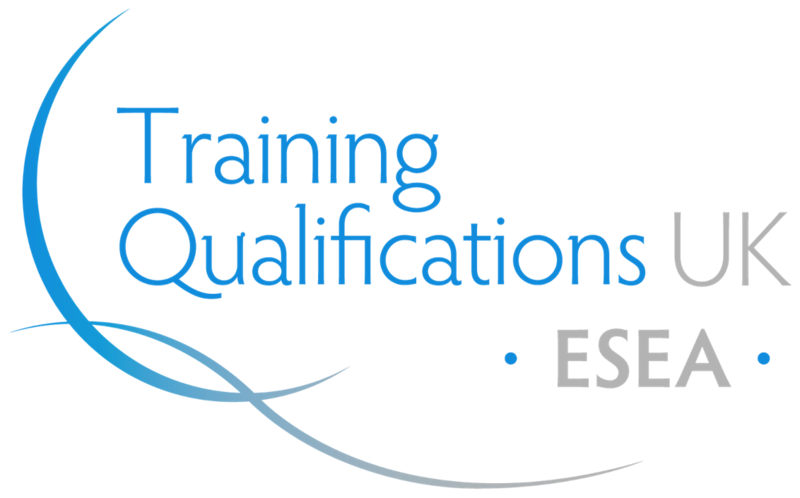 Liaising with the Business Development Team, the Quality Assurance Team and the Qualifications Development Team, he is responsible for ensuring all of our centres receive the level of service they have come to expect. Tom has his Level 4 award in Business Administration and is working towards his Level 5 NVQ in Leadership and Management. We’re 80% sure he is a time lord and the next Doctor Who. I always wanted to be a Maths teacher when I was at primary school. I sometimes still cry when watching The Lion King. I would definitely be a cat. I play by my own rules, can appear quite nonchalant at times but I’m not afraid to pounce. New York City. New York Giants Football and Pizza. 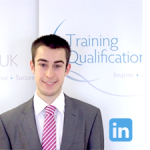 Kyle joined TQUK in 2016 after spending the previous two and half years working as part of a leading first aid trainer’s Marketing Team. 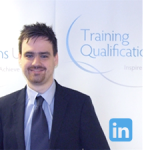 His role at TQUK involves increasing brand awareness through social media and marketing campaigns whilst also ensuring the smooth running of the website. It is Kyle’s responsibility to ensure that our centres have the right information, in the right place, at the right time and that the company’s reputation as a dynamic and forward thinking company is reflected in everything that we present to the outside world. An eagle. Migrating south for the Winter and not having to pay for it. Depends on the time of year. Winter? Canada for some hockey and proper cold weather. Summer? The Maldives. One day! Capped salaries depending on profession and your importance to the community. Recreational professions such as ‘footballers’ would not be paid millions. Ever. 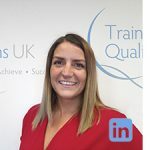 Danielle has worked in the education sector for the last 10 years and absolutely loves it – so TQUK were delighted when she decided to join us! 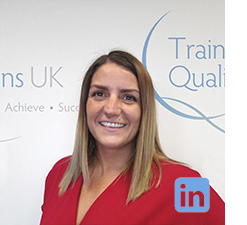 As Sales and Marketing Manager, Danielle will be generating leads for the Business Development and Client Relationship Teams, negotiating new business partnerships, overseeing client relationship processes, promoting the TQUK brand and identifying new and emerging markets for us to explore. When she’s not blazing a trail through the FE sector for TQUK, you can find Danielle crashing the nearest gig or music festival in typical Mancunian style. She also joins Kelly in the small yet vocal minority of Man City fans in the office. We’re not quite sure what to do with them. Coffee, strong, small bit of milk, no sugar (sweet enough) J.
I always wanted to be a PE Teacher. Oh…..Once I did a bungee jump and now I’m scared of heights. I’d be a Dolphin because they are intelligent and playful (work hard/play hard). Tom Grennan (at the moment). Liam Gallagher, Noel Gallagher and Pep Guardiola. No negative people allowed (hate moaners).